OCTOBER! Greetings! One-of-two of my favorite months! have not celebrated Halloween in freaking years. is going to be about the top 10 personal 'trend' theories I shall express with y'all. Think of me as Mystic Meg this post. I shall deffsies be sporting these this coming fall! So introducing..... CGV's October Trend Bible! Out with the gold, in with the silver! Or why not mix both? Who says we can't! I'm all over silver the Autumn, minimal jewelry too, a plain silver hoop does me fine! Less is more right? Primark have great silver hoops at a low price of ONE POUND, for 5 pairs! I've kind of betrayed my love to gold, but its time for a change! Bye bye Gold... for now. Ok, Chord shirts... meh yeah. Chord dresses.... HELLO WHERE CAN I FIND YOU. ASOS have a beautiful chord dress at the moment, in a splendid shade of green. Last time I checked it was out of stock of sizes to size 14! If you have seen my Instagram (@CH32) I have posted one earlier today of the red! The other is a black one, they are like twinny new borns I can't love one of them more than the other! So I love a good ol' slab of Velvet all year round ok, but it is a festivey material. So this means at this time of year I get to love it even more. Blimey, they are beauties. In a burgundy & navy. At £24.99 how could you resist? at £8 what an absolute steal. Black, Burgundy, & green! I nearly purchased the green the other day, but only had Size 14! Boohoo. Oh chokers we love you. Scared of looking gothy with a black velvet choker? Don't be! Add it to your girly dress outfit for a mix of Girly Grunge. that I cannot wait to purchase. 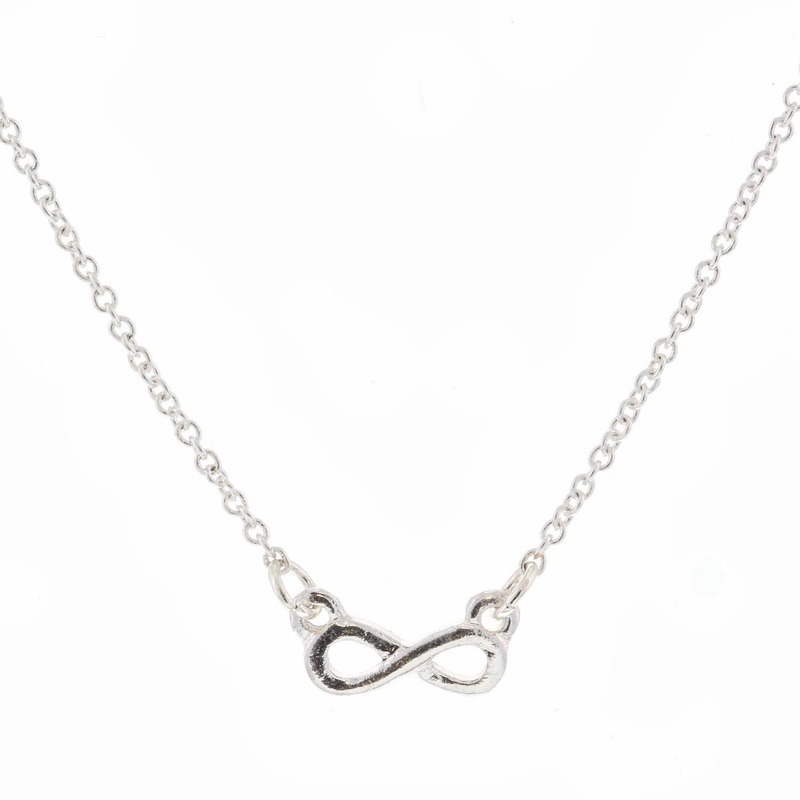 A cluster of small thin necklaces can really bring an outfit together, or even one! Urban Outfitters always have a great choice of small necklaces, if you buy online they usually have some good deals going! 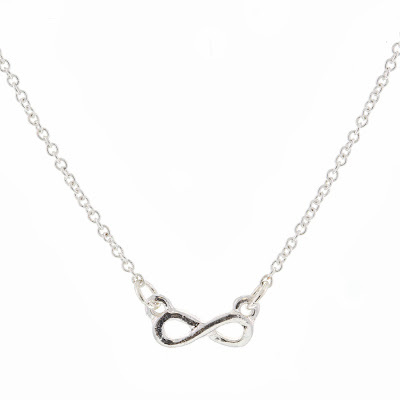 I'm a fan of the Infinity sign pieces that are floating around at the moment, the picture below is a necklace from Claire's, cute dainty necklace for £4! 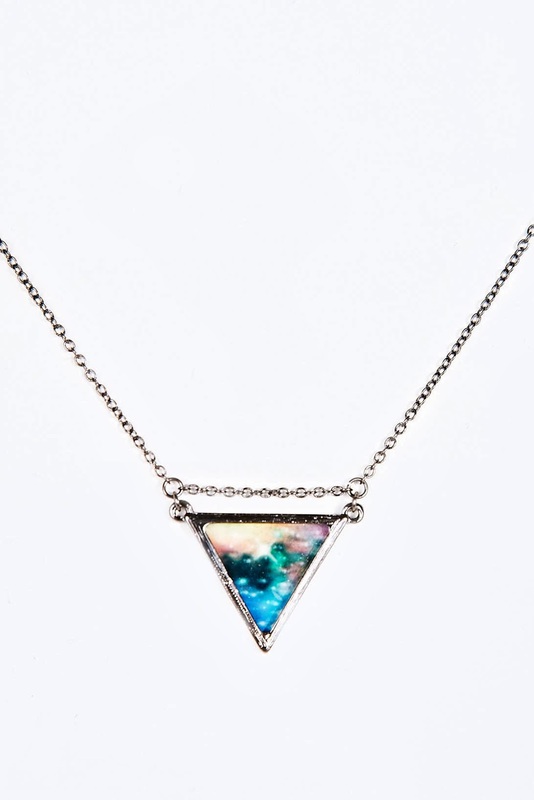 & the last picture is from Urban Outfitters, their new necklace by Cheap Monday, for £10. Black is the new black! Yeah babies, black is back and here to stay. A fully black outfit is O.K! Lets do thisssss. Add more dollops of black back into yo wardrobe. If you don't fancy wearing black.... how about a black lippy? Black scrunchie? Black is seeping back into my life, rapidly.... more than ever! Bazingaaa, mesh, an all year trend really. But the under mesh. The sleevey mesh/top/body, you choose, to dress under your top or dress, will make a super difference. A customer came into work and inspired me with her look she had created by doing this. It works! You can pick up basic mesh items on eBay or places like missguided! Basics! Everyone needs em, but nobody likes em? Until now.... They are great! H&M & Primark are Kings and queens for basic lovers. That plain shirt to wear under that statement dress, The black long sleeve crop that's gonna get you through the winter, those leggings that you need underneath that see-through skirt. To be honest, these days I've lost my love for print, and re-captured that love in the basics section in Primark. Yep, soz guys, PRI TO THE MARK RULES. From all the years of the trends of Leather Jackets, I never had the typical leather J you saw everyone in, with the flappy bits at the front, and slightly fitted structure. UNTIL NOW. It was a hard search looking for the perfect one, I thought you could find one anywhere, it was harder than that! No thankyou I do not want a stitched skull on the back Topshop. H&M was the answer to all my questions. I will mention I did purchase a size 18, since I'm not much of a fan of the super fitted leather JJ, and its still a bit snug at a size 18! At a banging price of £22 (with online sign-up discount!) I can't complain really. 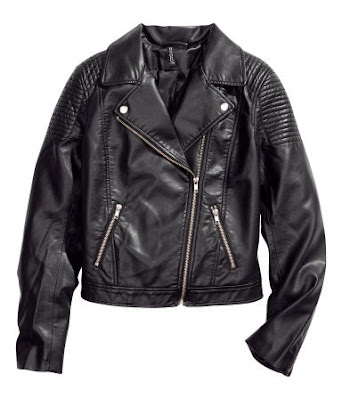 Below is the jacket I bought, found on the H&M website! Black high waisted jeans, team it with one of those thick black belts you never thought you'd use again! tuck the front of your BASIC tee in the front, show off that basic buckle and shazaaam, you just look like you were made for casualness. Well that was a short bible tour of this fall's trends picked by moi, forget what you saw at London Fashion Week, only your hand picked trends matter! Leave a comment, or gimme a tweet! Aw really! Vintage ones are such a hit or miss, I also got a vintage one, from ebay but the shoulder pads are huge I look like a rugby player! Red and dark green velvet are my faves!